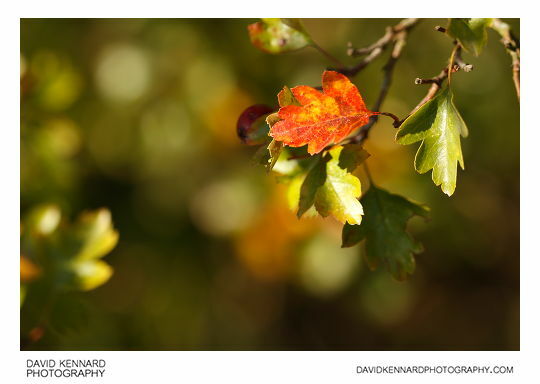 I've been out and about a bit more recently, taking a few more early autumn snaps. 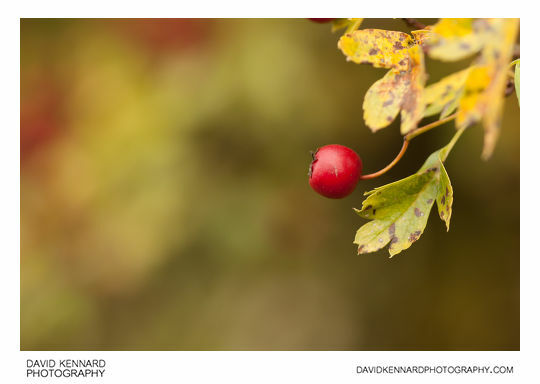 Unfortunately it's been very windy, which makes getting close-ups of berries, leaves etc. very difficult. As well as the subject blowing in and out of focus, it can be hard to get the composition you want when the subject keeps moving. 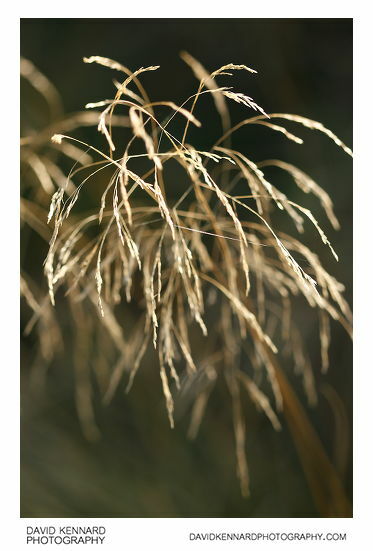 I particularly like this Tufted Hairgrass (Deschampsia-cespitosa), which reminds me of fireworks or a sparkler when you look down on it like this. But it blows about so much it is nearly impossible to get a good photo of (that's my excuse anyway). 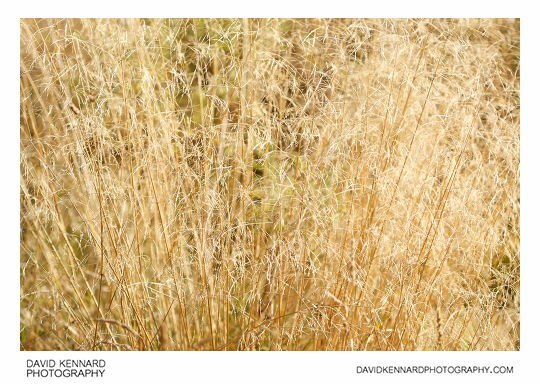 Above is another shot of the tufted hairgrass, this time further away and photographing multiple plants. The wind was still a problem, but not quite so much as close-up. 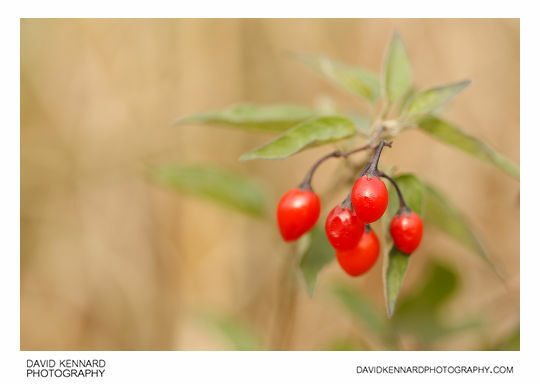 This is some Woody Nightshade (Solanum dulcamara) with its nice red berries. 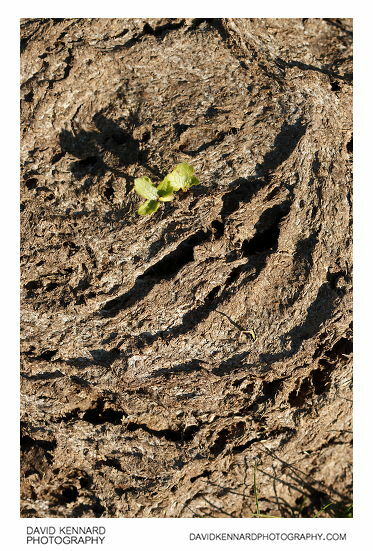 This plant was growing amongst the hairgrass, which gives the sandy coloured background to the photo. I quite like the above photo in colour and black and white, but in the end decided on uploading the black and white version. 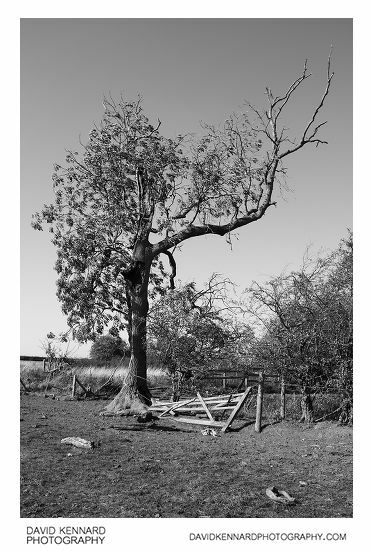 I like the fallen over piece of fencing, and the structure of the tree. 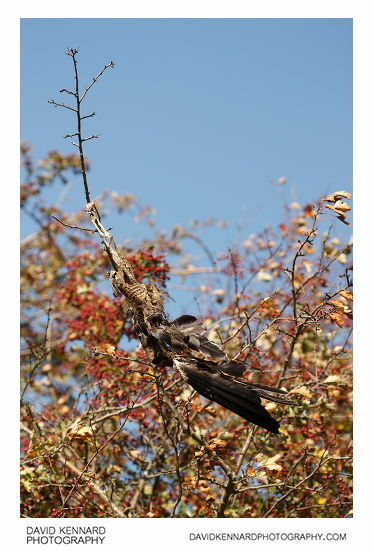 Not much further along on my walk, and I took the above photo of a dead bird hanging from a tree. Unfortunately I didn't really get any good photos. Again, I blame this on the wind. It was blowing about randomly (not just swinging back and forth), which made it very difficult to photograph. I'm not sure how the bird got there. I would guess that it got some thread tangled round its feet sometime. Then when it landed on that branch managed to tangle the thread round the branch as well so it couldn't get away. Anyway, its not something that you see every day. 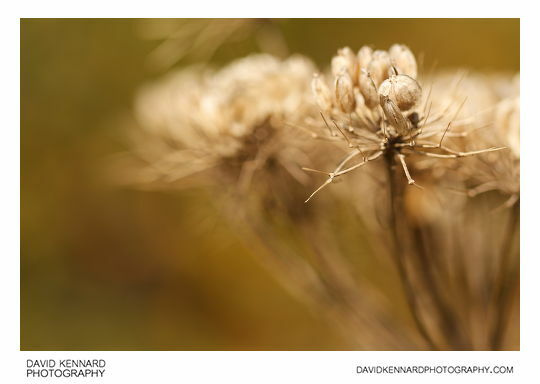 Above photo is of some Common Hogweed (Heracleum sphondylium) seeds. 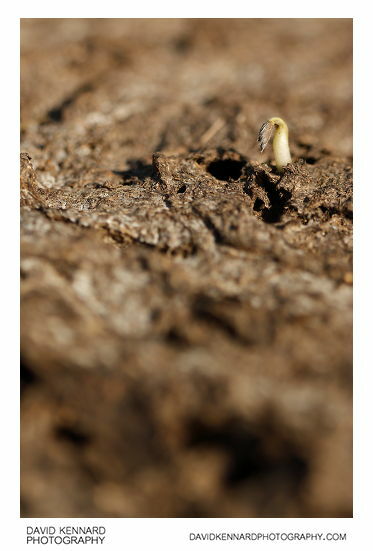 I spent quite a while lying down in a field photographing some plants growing up through a cowpat. Luckily no-one else came by, I must have looked quite strange. Most of the trees are either still green at the moment, or are having their leaves blown off as they turn. With the Hawthorns they have a mixture of some leaves fallen, some turned colour, and some still green, as in the above photo. To finish off, an IR photo I took the other day. 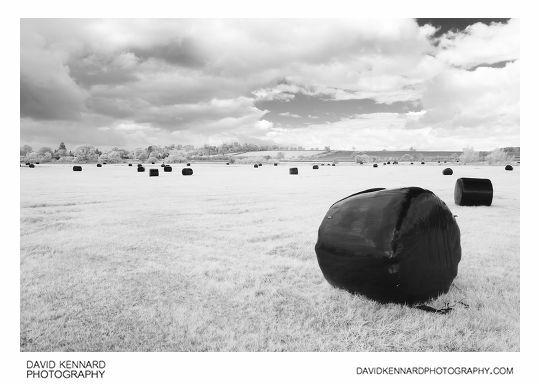 With this photo I like the contrast of the black plastic wrapped haybales and the white IR reflective grass. I haven't had a lot of time for photography this year, focusing more on getting on getting my Korea photos processed and descriptions written for them. So I have hardly used my IR camera since I got it last year. One of the problems is that you really need green grass, green trees, and blue skies with some white clouds for good IR landscape photography. 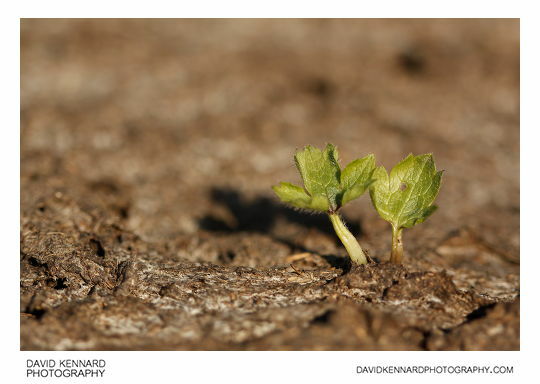 And then you also need to have some free time to go out and take photos when these weather conditions do occur. Still, with many of the trees still green I may still get to do some IR photography before next Spring. I won't be holding my breath though.